The test makes it possible to assess the load bearing capacity of all types of micropile (I to IV) using a non-destructive, quick and simple method. This new, innovative method was developed by Sol Solution in partnership with the FNTP, the Fédération Nationale des Travaux Publics (National Federation of Public Works ). The test involves carrying out a series of high impact hammering to the micropile head using variable drop heights. For each impact, deformation, force, acceleration and shock wave speed are measured and calculated using sensors installed on the micropile head. The analysis and processing of registered readings makes it possible to calculate the maximal elastic displacement (Smax) and the equivalent static force (Fstat) for each impact. An increase in the force of the hammer makes it possible to identify a load curve (Fstat vs Smax). Simultaneously, plastic displacement is tested using an optic level to observe the final displacement in order to avoid impairing micropile integrity. The test is validated when the equivalent static force reaches a value between QELS and 1,3xQELS, with QELS load capacity at service limit state and when permanent plastic sinking is limited. Check or break test (NF P 94-150-2). 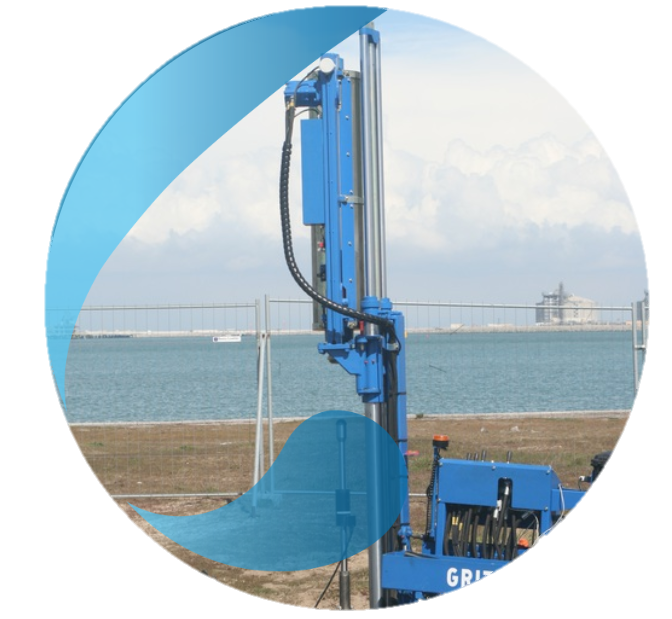 This involves applying controlled force to a micropile in regular increments, and simultaneously measuring the displacement at the head of the foundation unit. 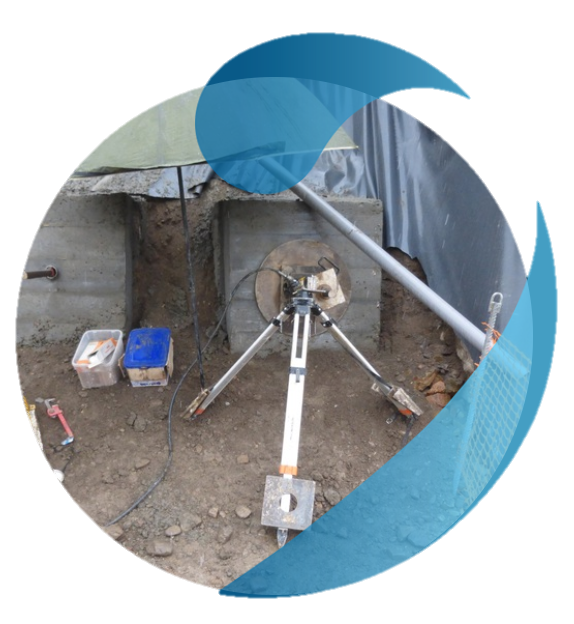 The check test aims to verify the load capacity of the micropile, up to 1.3 times the load capacity at the service limit state (1,3xQELS). The break test is performed until the micropile pulls out, thereby showing its maximum load capacity. Controlled displacement test (NF P 94-242-1). This involves extracting the foundation unit by applying a constant displacement speed and measuring the compression applied until it pulls out. This particularly helps determine the friction parameters of terrains traversed. Static tests require a reaction system (concrete, joist, etc. ), a means for applying compression force (hollow jack/pump), and force and displacement measuring devices. Auscultation of piles using impedance (NF P 94-160-2) and reflection (NF P 94-160-4). These 2 methods are used to determine the piles length, and test its integrity by compression. 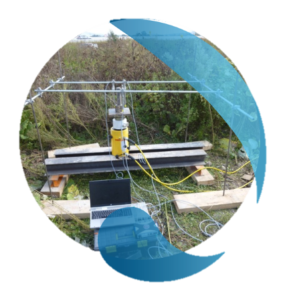 They involve analysing shock waves sent into the foundation unit using a hammer, with instrumentation (impedance) or without instrumentation (reflection). The speed of the wave inside the pile makes it possible to estimate its length, the quality of anchoring, and to see any possible anomalies (discontinuity, section variation, etc. ).